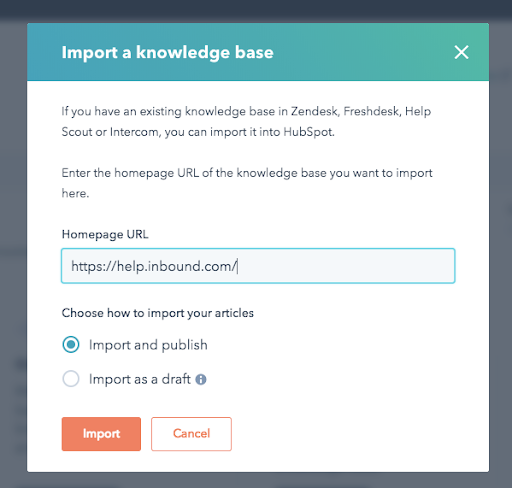 You can access the import tool in settings under knowledge base. 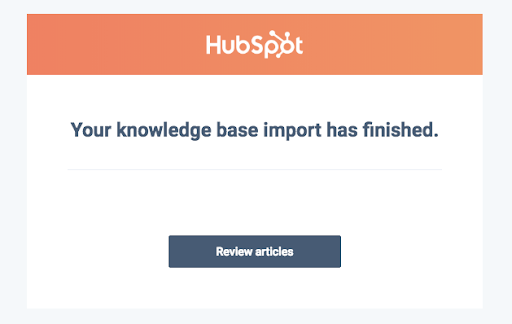 If you're considering moving your knowledge base over to HubSpot Service Hub you might be dreading the task of recreating all your articles. It can be a time intensive process or maybe even stop you from switching. We hope this update eliminates hours and hours of time spent copy and pasting and makes it much faster to get started with Service Hub. The new import should eliminate the vast majority of all manual work associated with making a move. 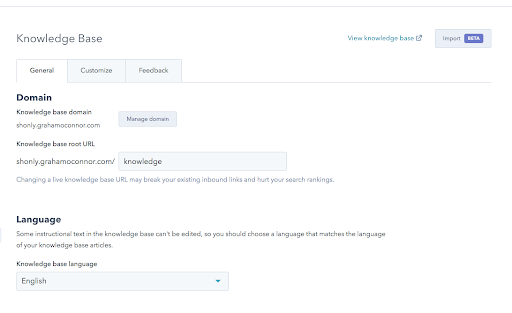 To get started simply enter the url of the homepage of your knowledge base and click Import. The import process will then start by crawling your existing knowledge base, finding the articles that need to be imported. As soon as the articles have been found the import will start. Once the import is completed you will be notified via email and also within the notification panel. This feature is exclusive to Service Hub Pro and Enterprise packages. Tables - Our editor currently does not allow tables (we are working on it). There will be a placeholder in the imported article for the table. The user will also be presented with a CSV file of articles that they need to fix because of this limitation. Custom styled divs - We currently do not allow custom styled divs in the body of our articles.